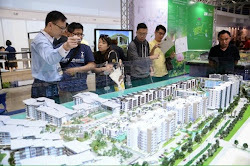 The drop in ringgit value at the start of this year due to the global oil price slump is not likely to affect the local property sector, Real Estate and Housing Developers Association (Penang) chairman Datuk Jerry Chan said. Chan said now when the ringgit is weak; it is a good time for Malaysians to invest in local assets as it would not be affected by the exchange rate. Instead of buying foreign assets, the prices of which would be affected by the weakening ringgit, locals should buy into local properties, he said. According to data compiled by Bloomberg today, the ringgit fell 1.1 per cent this week to 3.5550 a dollar as of 11.32am, the biggest loss in Asia. Chan drew similarities to the 1997 Asian financial crisis when the ringgit similarly weakened to 4.88 a dollar before Putrajaya pegged it at 3.8. During that period, Chan said local investors bought local assets instead of foreign assets. Today, he said, these investors have since reaped huge returns from their purchases. Chan was speaking at a press conference today after the grand opening of the Penang Property Summit 2015 at Spice Centre in Relau here. Housing development committee chairman Jagdeep Singh Deo agreed that the falling ringgit would not affect the housing industry in Penang, especially with its current focus on building more affordable housing units priced below RM400,000. Instead, Jagdeep said he believes the weakening ringgit would make it more attractive for foreign investors to buy properties here in Penang and Malaysia. Jerry Chan should learn to use words mentioned by Jagdeep Singh that weak ringgit will attract foreign investors to pick up Malaysian properties!